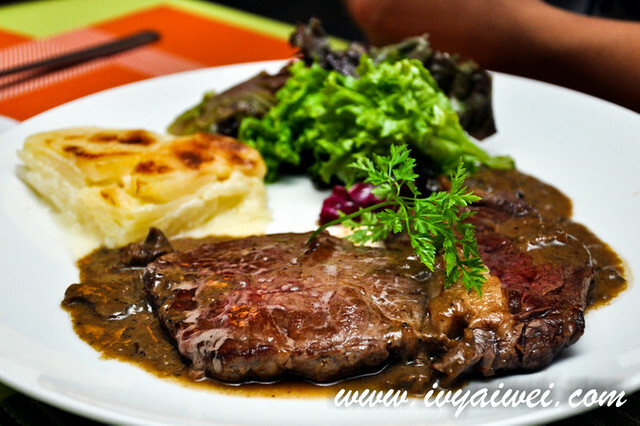 If you are looking for a French cuisine restaurant that doesn’t burn a hole in your pocket, put Croisette Café, the hearty and comfortable French place in your list. Tuck inside this old condominium, Croisette Café is a little gem that serves authentic French food, and sometimes comes with a little twist, in flavour or ingredient. I always wanna try out their main meals after the special tea session we have done it for Christine last year. Not until September, when there were reasons for me to make visits, parents’ wedding anniversary and family gathering. This is such an ideal place to hold family gathering, a place where you enter with casual dressed up and talk a little louder during meals. Hehe. 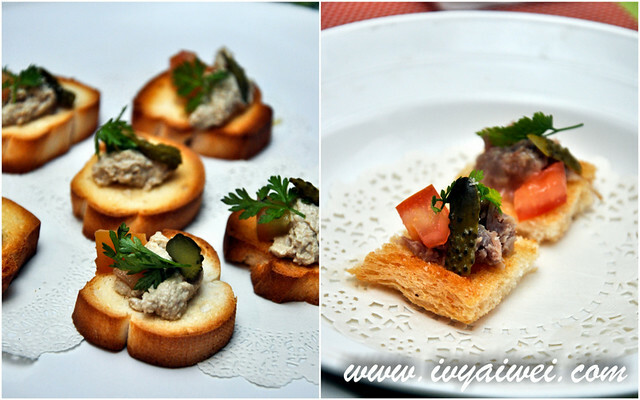 Croisette Café serves not only a la carte but also set dinner recently. Their set lunch comes at great value too! Do check out their fb page for weekly set lunch menu. Follows what the market has for the day and chef’s inspiration. 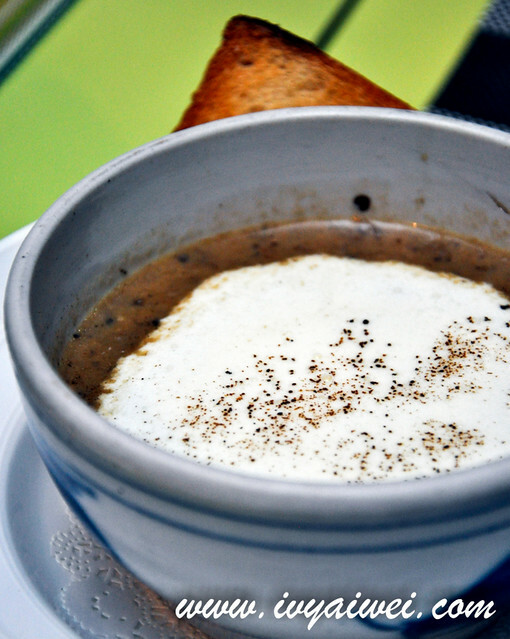 Very earthy rich mushroom soup! 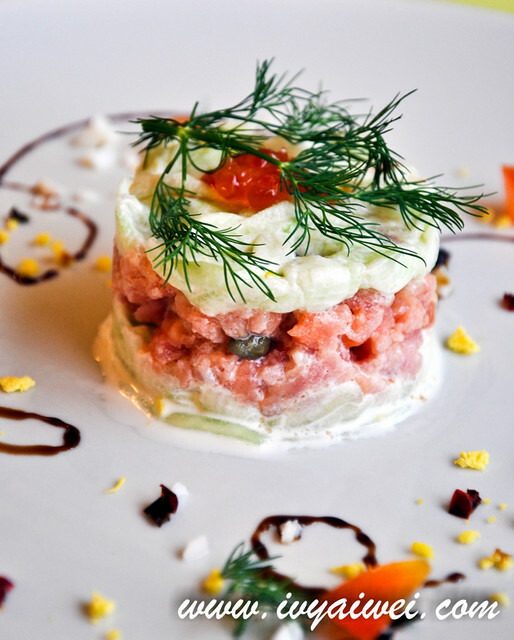 A refreshing appetizer that is made of finely chopped salmon and tuna, laced with cucumber jelly and touched with salmon roe. It was presented in a very pretty format that decorated with pieces and bits. Just like a piece of art. 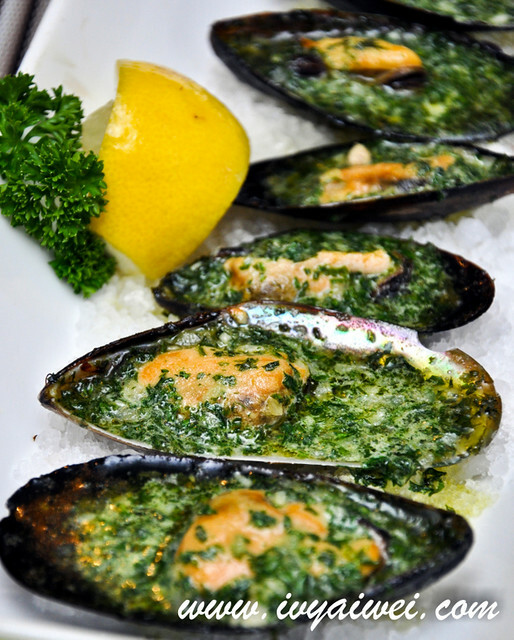 With the very minimal of seasoning, only using herbs and butter, the mussels turned out to be really aromatic and juicy. Squeeze in the lemon juice before tugging them into your mouth for extra ohmmmp. 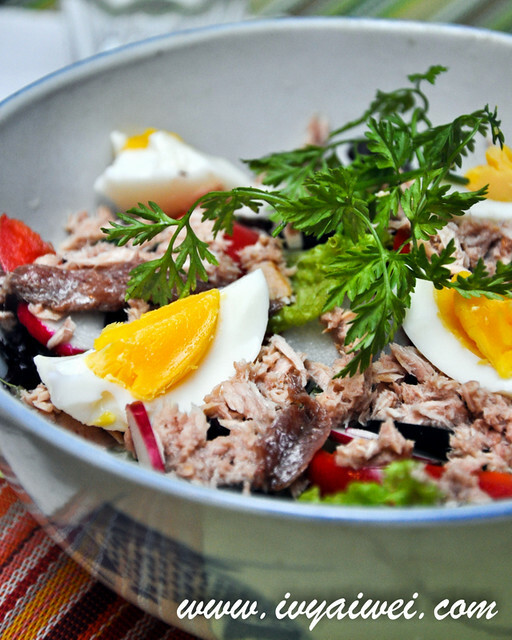 Comes with mixed leaves, cucumber, tomato, tuna, anchovies, olives, boiled egg and touched with olive oil and vinegar. 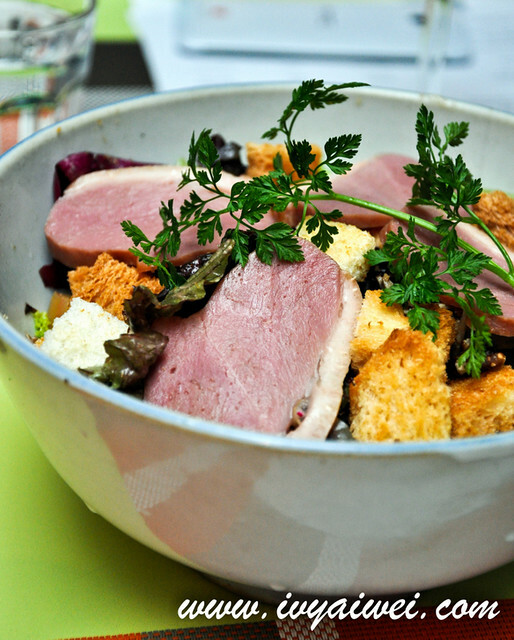 This salad comes with smoked duck slices aside from the greens and appetizing dressing. A Malaysian version of Pissaladiere. 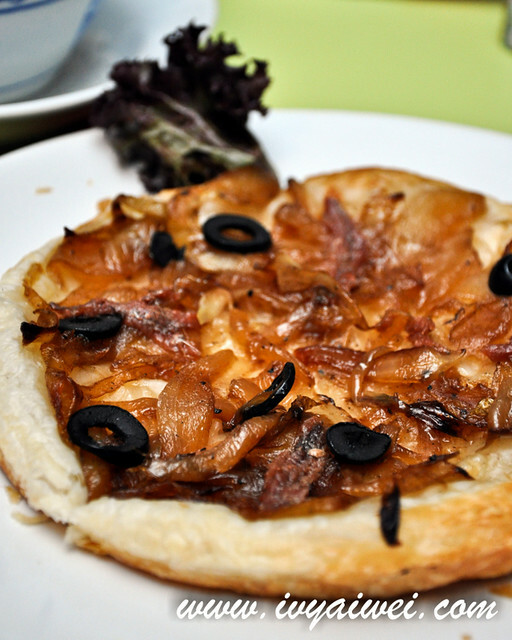 This small pizza is made with roti base and brimmed with condiments such as anchovies, olives, caramelized onions and drizzled with olive oil and herbs. The pizza based was fragrant and flaky but anchovies were too salty to our liking. Duck Confit, potato Sarladaise and Mesclun salad. The duck leg was slowly cooked with its own fat till crispy on the skin and tender inside. Layered beneath it was the potato Sarladaise and some greens on the side. 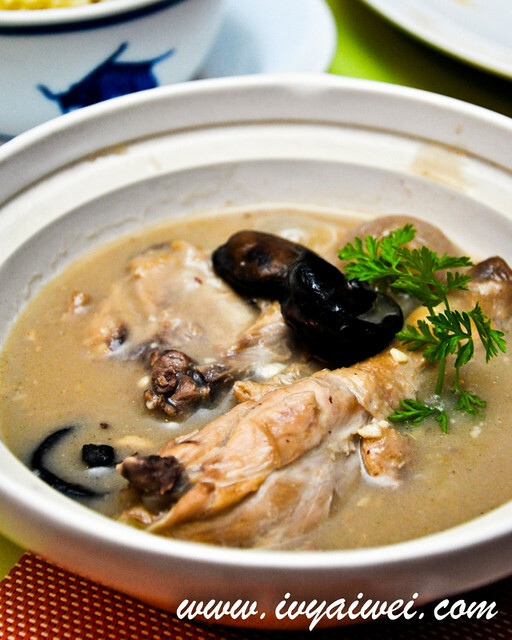 Slow cooked chicken in white wine, chicken stock and a dash of cream for its thickness. The broth was really rich and we had it paired with buttered baked crushed potato (Rm 5). We finished it till the last drop. 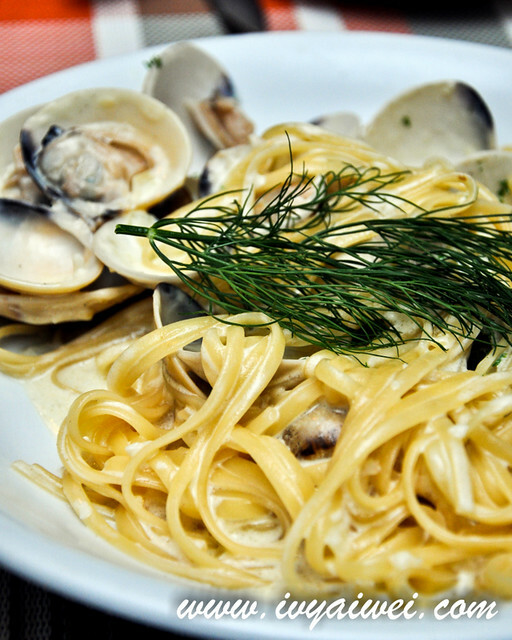 The pasta was done in an al dente way, creamy but never overwhelming. Only fresh clams were selected to be in their café. 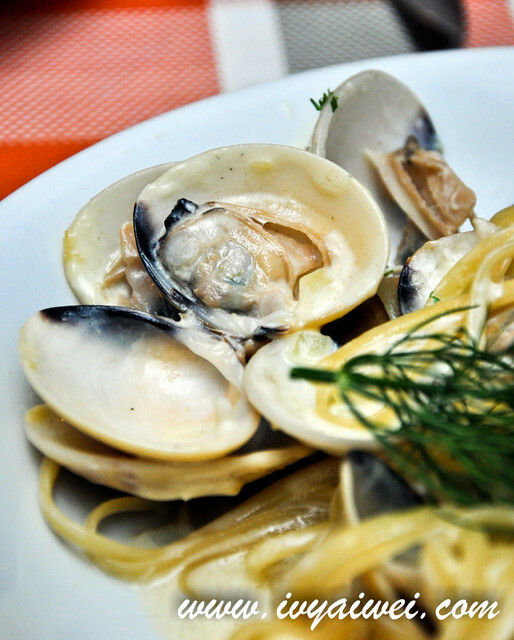 So if the clams are not fresh, sorry, they do not serve this dish. 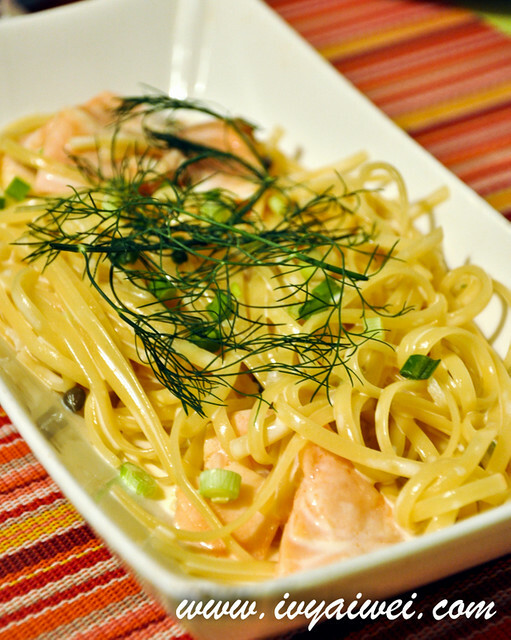 This pasta came loaded with slices of smoked salmon. I am a person who doesn’t like celery but I love their celeriac puree. It gave the fish extra sweetness. Brimmed with the treasure from the sea. 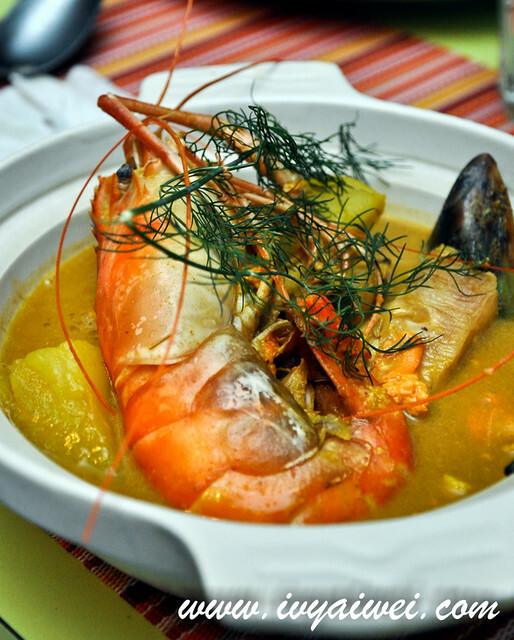 With the really huge prawn, clams and others seafood, all the freshness essence are absorbed by the potatoes. 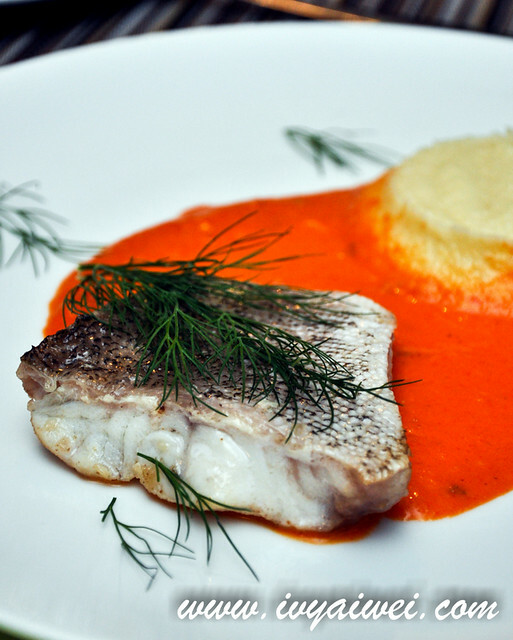 Served along with a toast that is topped with rouille. How I wish there were extra pieces of toast to go with my prawn bisque. Beef Rib eye Cepes mushrooms sauce, Potato gratin. The chef did really well on the rib eye too, way so better than some higher end restaurants which I don’t know if I should blog about, hmm. We also went for some sides. 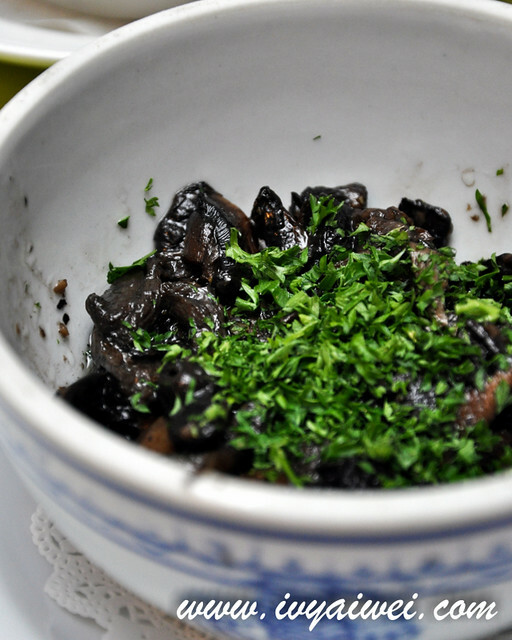 Mushrooms Mixed Grilled (Rm 7) was sautéed in a buttery way. Potato Sarladaise (Rm 8) was sautéed in duck fat with garlic. 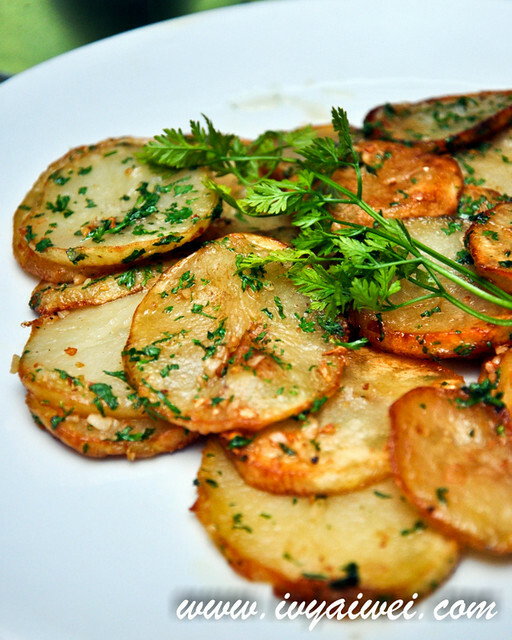 We love potato so much and we had extra helpings of this to go with the duck confit. 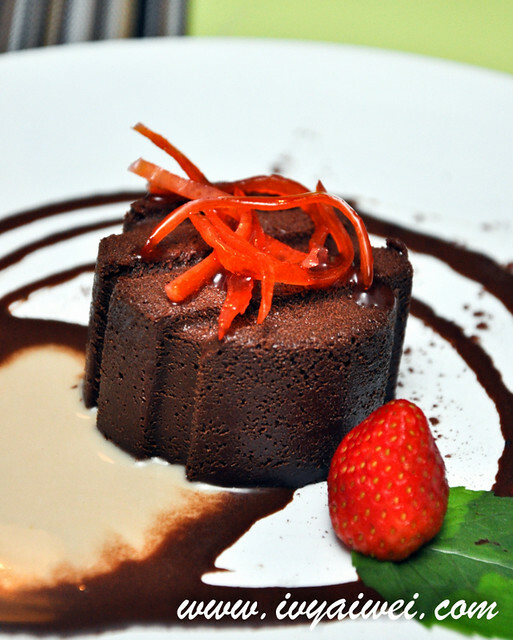 A very velvety chocolaty desserts; specially crafted with 70% dark chocolate, orange confit\ inclusion and earl grey cream. I love it but parents found that it was too sweet. 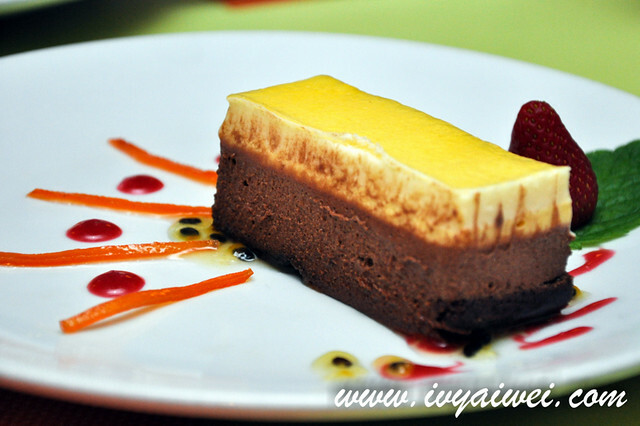 The chocolate and white chocolate mousse layered with passion fruit cream. 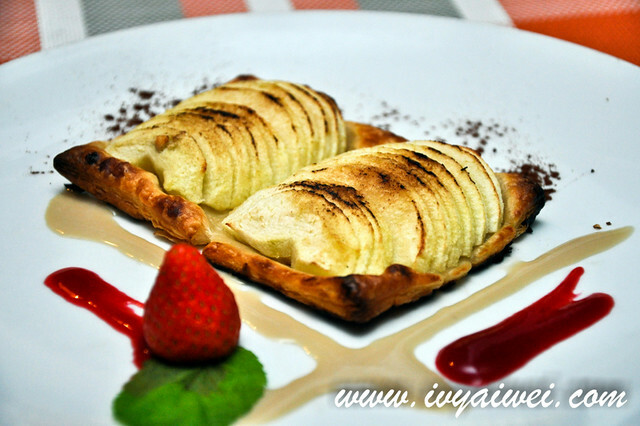 a creamy and non sweet dessert that fancied by everyone over the table. 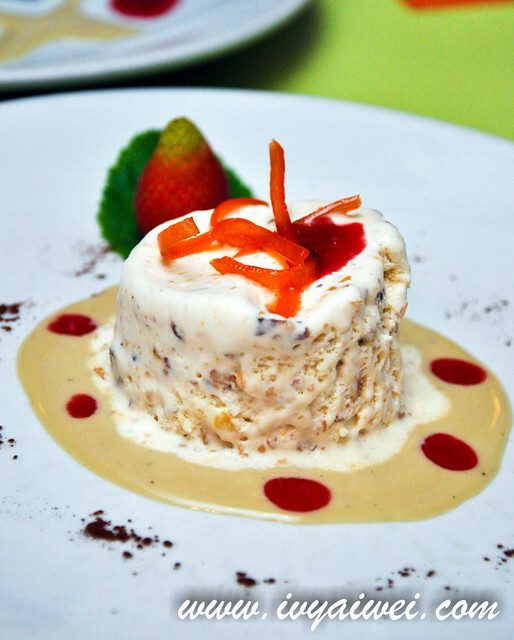 Nougat Glace (iced nougat) with fruits and nuts nougatine, Grand Marnier scented. This was quite special. An iced cold desserts where you gonna finish it fast before they gone watery. It was loaded with lots of nuts and fruits, touched with Grand Marnier too! 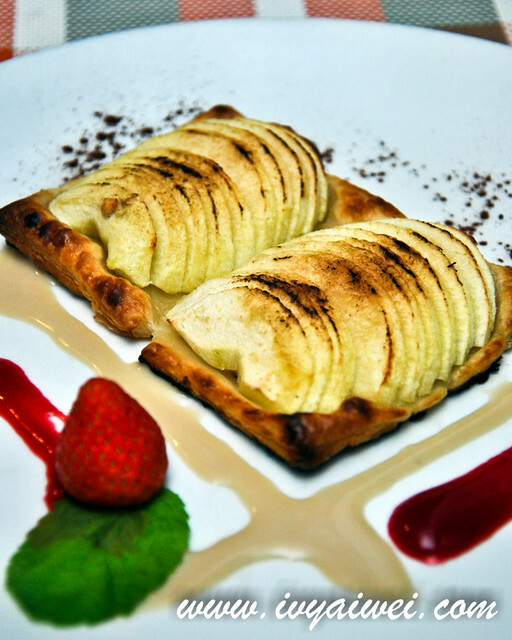 Thinly sliced apples lined on thin flaky pastry, seasoned with cinnamon spice. Allow 15 minutes of preparation time before serving. A warm comforting dessert and it would be great if a scoop of chilling ice cream is added in, vanilla with do! Rm 108 nett per pax comes with 2 glasses of wine or 2 cans of beer. We brought our own wine for the meal, corkage at Rm 35. Ooo their set dinner is good value for money…. 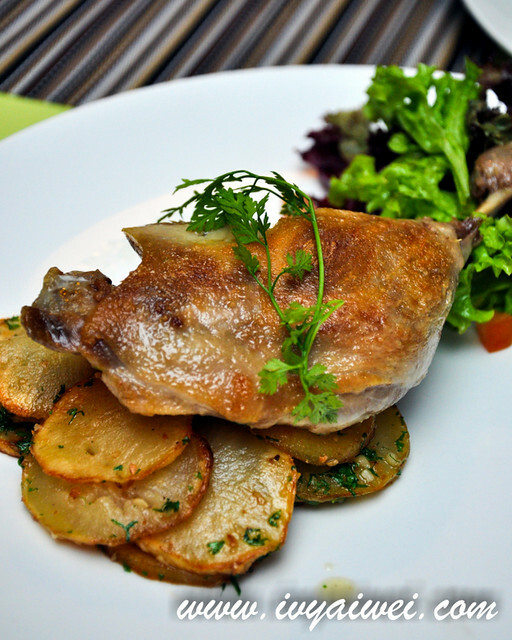 like the look of the duck confit! Yummy.